Personal scan. 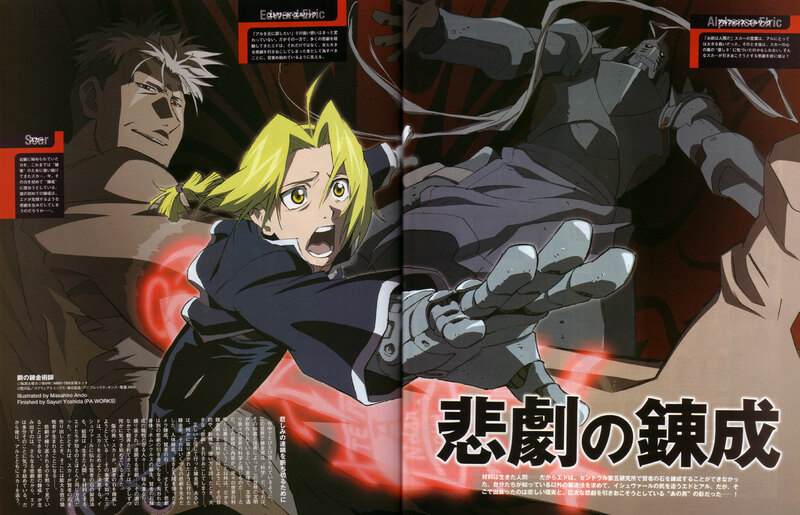 For Biriwilg, since she's requested FMA scans from me since, well, what seems like a long time ago. :) Title reads "Training for Tragedy". Scan from Animage 8/04. Well, thats a very good pic, FMA rulesssss!!!!!! thank you so much. I like. This scan has a lot of tension in it. It's very lovely! It has beautiful coloring! Thanks for the great scan! Great job! Was looking for the pic ! yey! I have this poster!